Car accidents cause countless bodily injuries every year. Oftentimes, these injuries are only treated when pain is immediately felt and victims never get proper auto accident treatment. However, auto accident injuries do not always present themselves during or even immediately after an accident. That is why it’s important to know what to do after an accident to insure your current and future health. We’ve compiled some advice and suggestions to best handle an accident. And also to determine if auto accident treatment is needed for your injury. Report an accident to the police and your own insurance company. If the injury occurred on someone else’s property, immediately notify the owner, landlord, or manager of the property. Consult with an attorney. Make sure you understand your rights. Most attorneys will provide an initial consultation at no charge. We will be happy to provide a list of attorneys with extensive experience. Call a skilled chiropractor who understands the unique injuries caused by auto accidents. Genesis Chiropractic Clinic has been serving Horsham for over 17 years. Since we never charge for a consultation with a doctor, there is no reason not to schedule an appointment after every accident or injury. Do not give statements about the accident to anyone other than the police. Do not miss your scheduled medical/chiropractic appointments. 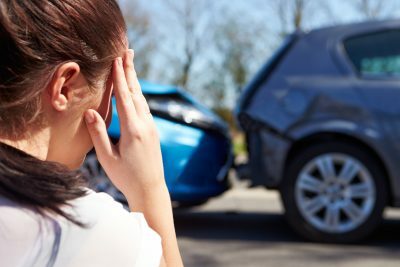 Doing so may create the false impression that your injuries were not serious; that you weren’t making your best effort to get well; or that you made your injuries worse by failing to adhere to the recommended auto accident treatment. Do not sign any documents from your insurance company without consulting with an attorney. Many insurance companies will quickly try to get you to sign a release from further liability by offering a small amount of money (usually a few hundred dollars). Once a release is signed, you can’t go back and ask for more. Even if you’re still hurt, or get worse (which may happen if your injuries are left untreated). Do not allow the liability insurance company to review your medical records without consulting an attorney. Report the accident. No matter how slight the damage. No matter whether you think you were hurt or not, call the police and file an accident report. Never make a statement to the police or anyone else that you are okay. You may be okay or you may not be. It is always a good idea to go to the hospital at this point, either by ambulance or let someone else take you. DO NOT DRIVE YOURSELF. You ought to see a doctor immediately after the accident even if you think you were not injured or have only minor injuries. Why is that?? Because injuries that may appear relatively minor to the untrained eye can sometimes be serious. Don’t make any statements of any kind, either verbally or in writing, except to the police. Never volunteer anything about the accident. They may very well be working for the other side. There have been reports, right here in Horsham, about real accident victims being asked a series of very confusing questions right after the accident about your auto accident treatment. Bear in mind, they may be recording the conversation. And if you are confused you may say something that you don’t mean to say. You could say something that taken out of context. It could seriously hurt your case later down the line, should a problem ever arise. Schedule an exam with a qualified doctor within approximately 48 hours after any kind of auto accident or injury, should any symptoms arise. The lack of a qualified doctor’s assessment of your injuries within this time period could cause the insurance company to question the validity of your claim. Call a qualified doctor who also specializes in auto accidents. Make sure you choose a doctor based on their experience in dealing with and treating these unique medical conditions. If you are injured seek immediate care. Even if to you, your injuries appear minor, you ought to seek care immediately. A delay in care after an accident can cause the insurance company to believe you weren’t injured when you really were. Never allow the other side’s insurance company to look at your medical records. Releasing medical information to them about your condition before or after the accident without consulting your lawyer, is always a bad idea. I have a long-standing policy in my office not to allow records to be examined by anybody except our patient, our doctors, the patients’ attorney, or anyone that the patient directs us to release these records to, in writing. Sometimes people attempt to mislead or misguide someone who has just been involved in an accident. And we take every step to help our patient. And guide them along the path of making the right decisions and the right choices. While we do not give legal advice, we can refer you to a competent, skilled, ethical, attorney. And we will work closely with your legal advisor. You’re not putting forth a sincere effort to get better. That’s a fact that the other side’s insurance company and their attorneys will jump on. Or sometimes if you miss your appointments, the other side’s insurance company will say that you actually made yourself worse by failing to keep your appointments. You just weren’t injured enough to bother going to see the doctor for your auto accident treatment. Consult with a lawyer. Dr. Fish’s advice is generally speaking that most automobile accident victims are better off with a legal advisor. Every skilled personal injury attorney that Dr. Fish knows will never charge a fee for your initial consultation. One last thing – This is important. Most of us will get in an automobile accident or have injuries at one time or another. I recognize that insurance companies and lawyers from the other side have investigators, expert witnesses, and a whole lot of resources and money to defend them. Most of you automobile accident victims lack these resources – and the other side knows it. I hope this checklist provides useful information that will help you fight back and stay in control with your auto accident treatment. FREE Car Accident Victim Report! “ KEEP Reading This FREE Report To Discover What Most Insurance Companies Don’t Want You To Know. • How hidden car accident injuries can increase your chance of ARTHRITIS! • Why insurance companies wish you wouldn’t read the controversial report! • How even minor injuries can turn into endless pain, headaches, and arthritis. • The importance of documenting your injuries immediately to get the settlement you deserve! • Why going to your family doctor may only result in years of misery and frustration. • What will likely happen if you don’t get natural treatments NOW! WARNING: “Hidden Soft Tissue Injuries” are sneaky, and are potentially debilitating that will strike millions of Americans this year…and as a result, many of them will suffer for the rest of their lives; partially due to misinformation and inappropriate care! That’s the bad news. The GOOD NEWS is that you don’t have to continue suffering! You now have the information to help you make an informed decision to get proper auto accident treatment. So Keep reading, report to find out the well hidden truth you won’t find anywhere else! Reading this free report may be the most important thing you’ve done all year. Why? Because finally someone is revealing the shocking truth about car accident injuries most insurance companies don’t want you to know. The information in this free report is vital if you want to avoid years of pain, suffering, and misery, so please read this report from beginning to end. Thousands of Americans are involved in auto accidents every day. They aren’t lucky enough to have this information in front of them. Therefore, they receive inappropriate auto accident treatment for their injuries. Or they never get their injury diagnosed properly and often settle their case too soon. So when they do discover they have a hidden injury, they’re stuck to foot the bill for themselves. Don’t let the insurance companies victimize you because you weren’t aware of your legal rights following an accident! Don’t Talk Or Speak To ANYONE About Your Case Until You Finish Reading This FREE REPORT! You should consider yourself extremely fortunate to be reading this information because you’re going to discover the truth about hidden car accident injuries most insurance companies, even your own, don’t want you to know! You see, these sorts of injuries aren’t like broken bones. Usually you don’t feel them right away. They start out as a slight soreness or even nothing at all, and then a day or even two weeks down the road they can strike like a viper leaving their victims crippled and there lives anything but the way they used to be. Insurance adjusters know all about the kind of injuries people like you and me can experience in an accident. They know sometimes you don’t feel injured right away and that’s why they try to settle as quickly as possible while your medical bills are low or non-existent. They’d rather see you in pain after you settle with you picking up the tab for your own auto accident treatment. This can happen even if it’s your own insurance company you’re dealing with! Make no mistake, Insurance is a business like any other and the less they spend helping the people their clients hit, the more money they make. Even if you were involved in a minor fender bender, studies have proven you could suffer from a severe injury that isn’t easily noticeable. That’s right. You can be severely injured and only feel a little or no pain at all after the accident. Your doctor can easily miss this and mistake your pain for something completely different. This is when insurance companies try to settle with you. Don’t make this mistake. Finish reading this report. Then you will understand your rights. And don’t make the decision to settle until you’re absolutely sure you are 100% okay and all of your auto accident treatment is concluded! What YOUR Doctor Doesn’t Know About Hidden Injuries CAN Hurt YOU! After any accident, it’s advisable to visit the emergency room to make sure you don’t suffer from any life threatening injuries like broken bones, a punctured lung, or internal bleeding. This, you see, is what Emergency Room doctors specialize in. Soft tissue injuries are very slight and are easily overlooked in an X-ray if you don’t have the proper training to detect them. MOST DOCTORS DO NOT HAVE THE TRAINING OR EXPERIENCE TO DETECT HIDDEN INJURIES! As long as there’s no immediate threat to your life, the doctor is more than happy to send you along on your way with some pain medication because that’s all they know how to do. And, when your pain doesn’t go away, you usually visit your family doctor because that’s the doctor you’ve always gone to when you didn’t feel good. Few Doctors Have The Training To Detect A Hidden Injury! This is where these hidden car accident injuries pop up. They are actually structural problems in your neck and back that are easily detectable in an X-ray to someone trained to do so. Unfortunately, most doctors aren’t. The auto accident treatment of choice for medical doctors, like your family doctor, is to use drugs to cover up your symptoms (in your case the biggest symptom is pain) so you don’t feel injured anymore. So this form of treatment only gives you the illusion that you’re okay when really you can be seriously injured and not know it. Or worse yet, you may be feeling none of these right now because your injury hasn’t started producing these symptoms yet. And since you feel okay, you may be making the injury more and more severe until the above symptoms start popping up! The Shocking Truth About Using Pain Relievers, Physical Therapy, And Surgery To Get Rid Of YOUR Pain! Let’s assume you are experiencing some neck pain. How will your doctor attempt to give you auto accident treatment? Well, rather than go after the cause of the problem he can’t find (your doctor will never admit they don’t know what they’re doing), he’s going to try to cover up your symptoms with Over The Counter (OTC) drugs and other, more powerful pain relievers. These drugs only work by sabotaging your body’s ability to register pain. They do absolutely nothing to fix the problem causing the pain. So while these drugs are sweeping the dirt under the rug, you’re giving the illusion you’re actually okay. This is very dangerous. 2. If you feel less injured, you’re more likely to worsen your injury because your body has no method of stopping you. Pain is our body’s way of telling us to stop doing whatever we’re doing. That way we can’t keep doing things that will make you more and more injured. Ever have a sprained ankle? What happens if you keep walking on it rather than sit it out for a few days? It hurts more and more. And why? Because you’re making it worse! The same is true for these hidden injuries in your neck and back. Yes, you read that correctly! Your doctor may be hurting you by giving you seemingly harmless drugs! Your Doctor’s Treatment May Be Making YOU Worse! And while you’re being fed more and more powerful drugs, you’re actually making the problem worse so naturally you’re going to feel worse when the drugs wear off and your going to have more difficulty concentrating, getting a good nights sleep and being the same person you’ve always been. The next step doctors will rely on once their initial treatments fail is to refer you to a physical therapist. The only problem here is the Physical Therapist is told what to do by your doctor. This means whatever therapy you undergo is designed to treat the problem your doctor thinks you have when really it may be something totally different. It’s no coincidence most people with ‘hidden’ injuries are still in pain and may even feel worse! At this point you are either sent back to therapy to try another treatment that odds are won’t work because the person directing the auto accident treatment, your doctor, never diagnosed your problem correctly. Or, he may recommend you see a surgeon about your problem. Now, surgery is an extremely drastic treatment for these sorts of injuries and if the surgeon doesn’t know what to go after you’re probably not going to come out of the operating room fixed. Most surgeries, especially in the neck and back will only result in a short period of pain relief at best. More than half of all back surgeries will never get you out of pain. So it’s not always the optimal auto accident treatment. Plus, there’s the added risk of infection and anesthesia problems not to mention other side effects that aren’t too uncommon when it comes to cutting a body open… like missed time off work and reduced living for weeks or months at a time. Do you really think surgery is even an option you should consider especially since your doctor has no idea where your problem is? Discover RIGHT NOW If You Suffer From A Hidden Injury! Hidden Injuries are extremely serious problems unfortunately, medical science in under-trained and unequipped to diagnose and treat them with any measure of success. This is a giant health care problem in this country considering 20 million people have suffered from a hidden injury known by the name Whiplash. You are not alone! The sooner you find out you have a hidden injury, the sooner you can start a treatment plan to get rid of it and get you out of pain as soon as possible. Wouldn’t it be nice to finally be pain free and living your life the same way you did before the accident ever happened? Well, if you do find out that you do suffer from a hidden injury then this can be your reality. Imagine being pain free without pills, or painful and repetitive physical therapy, or even the thought of surgery. Isn’t that nice? Wouldn’t you rather be healthy and alive once again rather than living life only one pill away from endless pain, misery, and frustration? Aren’t you tired of going to your doctor again and again and never getting better? You see, your doctor knows there are better treatments out there available to you but they also know if they tell you that you’ll never come back to see them! I Have Thousands of Hours Getting Auto Accident Victims Out Of Pain Safely, And Effectively Without Drugs Or Surgery! My name is Dr. Gene Fish, Clinic Director of Genesis Chiropractic Accident & Injury Center here in Horsham, PA.
I’ve spent years fighting for the rights of auto accident victims just like you. In fact, that’s why I wrote this FREE Report. I’m sick and tired of car accident victims going through years of pain and misery. All because no one ever bothered to tell them their rights and the truth about their injuries. I’ve used a drug and surgery free method to help auto accident victims just like you out of pain as quickly and easily as possible. I’ve been able to help almost everyone who I’ve diagnosed with a hidden injury. In fact, I’ve been so successful and happy with helping people just like you get out of pain, I’ve focused a majority of my practice and skills at getting auto accident victims out of pain and keeping them that way! There’s nothing that pleases me more than helping car accident victims just like you. I want you to know the truth about car accidents almost everyone out there doesn’t seem to want you to know. I know I can help you. What Is A Surface EMG Test And Why Is This The Best Way To Detect If I Have A Hidden Injury? The machine I’ll be using to help me with the test is called a Surface Electromyography unit (sEMG). What it does is measure muscle activity in your back to determine if you have a structural injury in your back and/or neck that’s causing your muscles to not work properly. The test itself is quick, easy, and painless. (It takes about 3 minutes and doesn’t require you to get undressed or anything) In fact, the only reason I have it in my practice was because it’s so perfect for doing this one job. When the test is done I’ll give you a graphical printout. It will show you exactly where I think your problem/s are. You can take your report home with you. And I’ll even keep it on file for 7 years in case you need a copy. What’s important is that you document your injuries now! Because not doing so may make any injuries you have get worse. And they will become more difficult to get proper auto accident treatment down the road. Therefore keeping you in pain longer. So it may hurt your personal injury case if you decide to pursue legal counsel. If you’d like, after the test we can schedule a time convenient for you to come in for a more thorough evaluation to pin point exactly where your injury is. Then I will prepare a Recommended Action Plan for getting you out of pain as quickly and easily as possible without using drugs and surgery that doesn’t work. You might feel ok right now. But if you were in an accident you still run a high risk of suffering from a hidden injury. It’s best to play it safe now and get checked out to make sure you really are okay and need auto accident treatment. The slightest injury, even one that you don’t feel right now, may lead to a terrible condition down the road called osteoarthritis. While it is possible to treat it, it takes a long time, and sometimes is impossible to cure 100%. Worse yet, you may have to foot the bill! And all because someone hit you 20 years before! In other words, the severity of the injury to the passengers is not necessarily directly related to the damage to the vehicle. Most insurance adjusters love to convince you differently. Be careful! Q: I definitely feel injured from my accident; however, I have a history of related types of aches and pains, and records of treatment. Does this harm my case? A: No. This is why you need to see a specialist who is familiar with this circumstance. There is always a reason why you may feel injured or differently following an accident. My job is to identify specifically your new injury or the flare-up of an old one. A: It is always important to take care of your well being as soon as possible. The first priority is to get checked by a doctor. And begin, if needed, the appropriate auto accident treatment. After that, you will have enough information to decide if you want to hire an attorney or not. Remember, the responsible party’s insurance company has many attorneys, usually very good ones. You may need all the protection you can get. This can be done before or after treatment. If necessary, we can refer you to a reputable and qualified attorney. Q: If I need treatment for this injury, do I have to pay for it myself as the treatment is rendered? A: No. Only in extremely rare circumstances does the patient pay for their care as it is rendered. No matter who is at fault in the accident, you are still entitled to benefits under your car insurance policy. If you have ‘medical pay’ on your policy, this means your medical bills will be paid 100% up to a specific amount based on your policy limit. My office manager can assist you in obtaining this information. Using your ‘medical pay’ for your auto accident treatment will not raise your rates. However, if you do not have ‘medical pay’ on your policy, then we will accept an attorney lien on the case. This allows you to get treatment and then have the bill paid when your case is settle. Again, feel free to call, my office manager can help you with this information. Q: Does your treatment hurt? A: Absolutely not. I specialize in advanced auto accident treatment for both children and adults. My therapies are very gentle and quite soothing. Most patients can hardly wait to get their care. Please see the ‘Patients Speak Out’ section. Q: Is your care safe? A: Yes, extremely. Particularly when compared to the side effects of overly prescribed medications and/or inappropriate use of surgery. While this is still fresh in your mind, please pick up the phone and call us at 215-343-3223. We’ll pick a time convenient for you to come in for your accident injury evaluation. If you’re calling after the office closes for the day, leave a message and a number we can reach you at tomorrow and we’ll call you then. Your accident’s been a big enough hassle already. Dealing with your insurance adjuster. That’s why we’re dedicated to working around your schedule so you can go about living your life on your terms. Don’t let your auto accident treatment be a hassle. If your test turns up positive, and you are suffering from a hidden injury, then we recommend you look into getting a lawyer to represent your case. Choosing a good, qualified lawyer is extremely difficult. So if you’d like we’ll even recommend and talk to personal injury attorneys we’ve worked with for years on your behalf. Whatever you decide to do, remember, you need to document your injuries as soon as possible in order to get the settlement you deserve. And to do that, you need to be checked out by a doctor with the training and experience to diagnose and treat the hidden injuries we’ve talked about in this report. If you weren’t alone in the vehicle, the other passengers in the car also have the option to come in for a FREE Consultation. Just call us at 215-343-3223. We will be happy to schedule a FREE Evaluation for them as well. Just to make sure everyone is really okay. If children were in your car, it’s vital they are evaluated. That will ensure they’re bodies are in good working order. So they and are not subjected to unnecessary pain, suffering, or physical problems later in life. Don’t worry, if we do detect an injury, our care is both safe and effective for children of all ages. I hope you’ve benefited from discovering the truth about Hidden Car Accident Injuries. The same truth many people out there don’t want you to know. Sincerely, Dr. Gene Fish, D.C.
PS – Don’t forget, many doctors are not trained to diagnose and treat hidden car accident injuries. So if you DO suffer from a hidden injury, almost any treatment your doctor is giving you will be ineffective and may even be harmful to you! PPS – You need to document your injuries as quickly as possible for two reasons. 1. It will help your legal case if you choose to go that route. And 2. The quicker an injury is diagnosed, the less severe it will be, and the easier it will be to treat. That means you’ll be out of pain faster. Therefore get back to living your life the way it was before the accident. PPSS – We help 100% of the patients we accept. Once we evaluate your injuries, we will tell you if we can help you or not. And if so, how long it will take. You can take that information home with you and call us only if you want care. No strings attached.